FWAC - DE Technologies, Inc.
FWAC is a fast-running Windows-based computer code for predicting the performance of fragment warheads. FWAC uses analytical models to predict the projection velocity and angle distributions along the warhead casing, which may be composed of pre-shaped fragments or a naturally fragmenting casing. Output includes graphical and tabular summaries of all results. 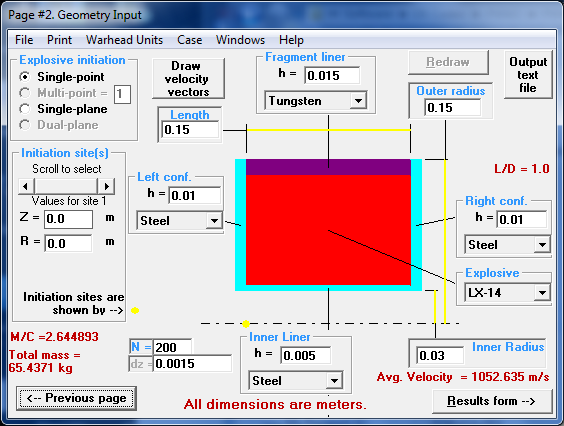 FWAC’s graphical user interface makes it easy to set up fragment warheads for analysis. FWAC automatically generates graphical representations of key predicted jet properties. 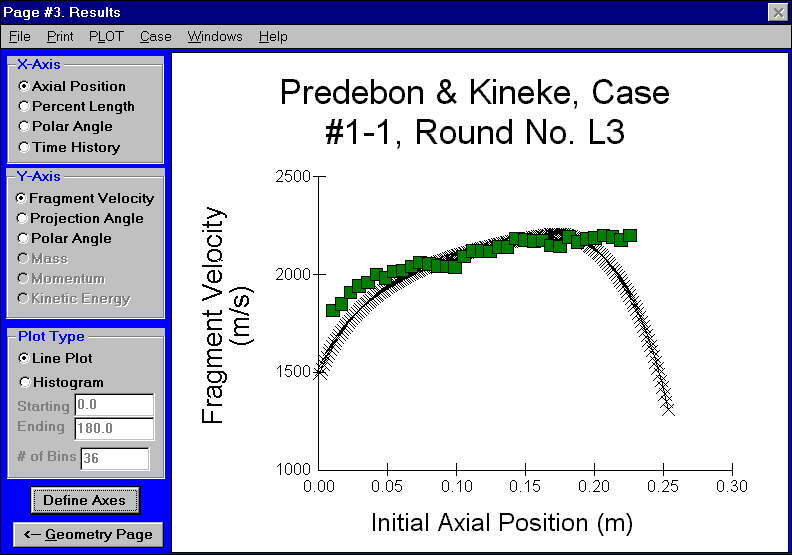 Comparison of FWAC-predicted fragment velocity distribution with experimental data. 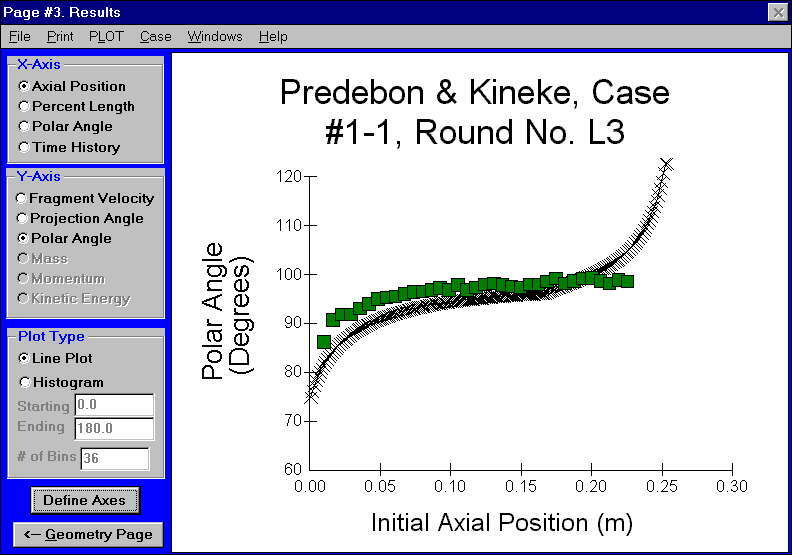 Comparison of FWAC-predicted fragment projection-angle distribution with experimental data.